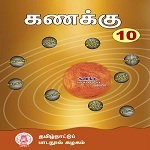 Samacheer Kalvi (Tamil: சமச்சீர் கல்வி) or Tamil Nadu Uniform System of School Education or Equitable education system is a School Education Department of Government of Tamil Nadu, India programme to integrate the various school educational systems within the state. There are over 1.2 crore students in four streams of school education comprising about 45,000 state board schools, 11,000 matriculation schools, 25 oriental schools and 50 Anglo-Indian schools, with different syllabus, textbooks and schemes of examinations. Uniform System of School Education was implemented by Tamil Nadu Uniform System of School Education Act 2010 which paves way for quality education to all children without any discrimination based on their economic, social or cultural background. The new system of education was introduced for classes I and VI in the 2010 academic year. These books were scientifically prepared and designed in an attractive manner to create interest in learning among students. You can download all the samacheerkalvi books for free of charge. The main need for this system to be proclaimed as the syllabus in Tamil Nadu, was that all the school students must have uniform study, diminishing the variations between the Matriculation or CBSE Students and the Government school Students. The motivation for a uniform syllabus was obtained from the Ex. Chief Minister of Tamil Nadu, K. Kamaraj who was the first to initiate a uniform dress code in schools to reduce the differentiation between students from households with varying income.